This the fascinating story of Dr R.P. Soonawala, the man synonymous with gynaecology in India. He designed India’s first female contraceptive in 1963, now called the Soonawala IUD; he has conducted scores of training programmes across towns and villages in India, training thousands of doctors to deliver better health care. He was awarded the Padmashree in 1991. 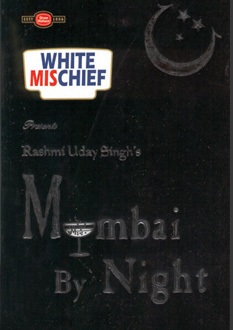 Acclaimed writer Rashmi Uday Singh pens the story of his journey from being the grandson of an engine driver and starting work in a small hospital in Mumbai to birthing generations of Kapoors, Ambanis, Godrejs and Birlas. Interspersed are tales of a how a common love for hockey led to his falling in love with the stunning Piloo Gimi, his years of struggle as a student, and his close connection with each of his patients and ward boys. Just published…the worlds first ultimate vegetarian guide to Paris. Paris, the world’s gourmet capital, a dream for omnivores – and a nightmare for vegetarians. Or is it? 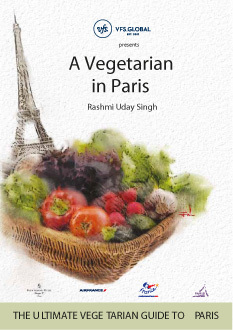 In this path-breaking book, one of India’s most intrepid foodies, Rashmi Uday Singh, shoots all the clichés, eats her way through Paris and nails a vegetarian side to it that’s as dazzling as it is delicious. From cheap and cheerful to French gastronomique – multiple surprises show up in over 500 multi-cuisine restaurants, foodshops, cooking classes, bakeries, chocolatiers and more. Fabulous vegan restaurants, a vegan bed-and-breakfast, vegan tours… The world’s first vegetarian guide to the discerning herbivore, the book is also a wonderful complement to those who enjoy their meat with a plate of potatoes – this landmark book helps you decide how to eat vegetarian well. 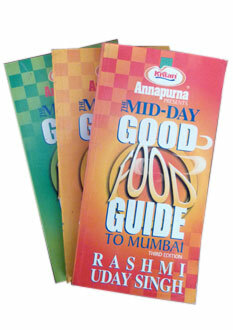 This trail blazing guide was hailed as the “bible of good food to Mumbai”. 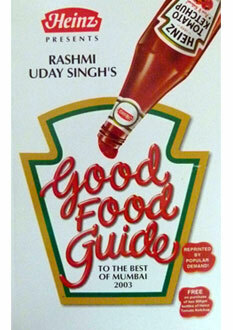 Rashmi researched and ate at every single restaurant and wrote the countrys first ever city restaurant guide in 1997. 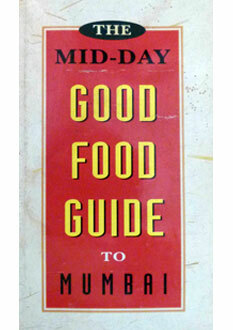 ” The Mid day Good Food Guide ” at a time when no such book existed in the country. 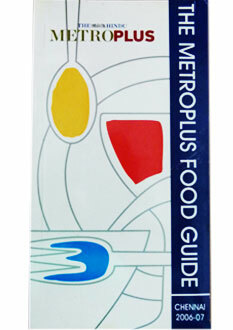 The first ever 1997 guide received rave reviews and was on the national best-seller charts for a year. It gave invaluable information and reviews on Restaurants, caterers, dessert- makers, tiffin services cooking class experts, food shops and more. Due to popular demand, the single volume trail blazing guide was expanded two-volume set in the next year and a three-volume set followed in 2000. Here it is. 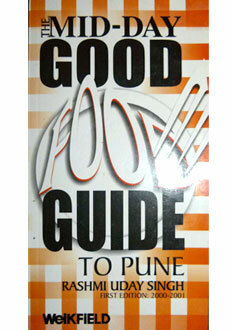 The first ever complete food guide to Pune city. 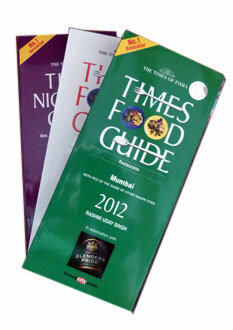 It provides a comprehensive information source on restaurants, caterers, food services and shops of the city. Wanting to take part in the success and popularity of the Good Food Guide, the multi national food giant Heinz sponsored the 2003 edition. It gave invaluable information and reviews on Restaurants, caterers, dessert- makers, tiffin services cooking class experts, food shops and more. 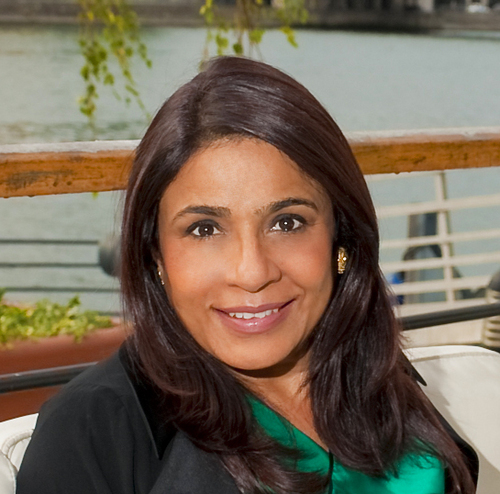 Blazing trails, Rashmi researched and wrote India’s first ever Nightlife guide to Mumbai. It gives invaluable information on nightclubs, bars, late night street eatabouts and more. It was hailed as the “must have” for every night bird. “The World Gourmand Award 2005” and also Worlds “The best of the best” vegetarian cookbook in the past twelve years. 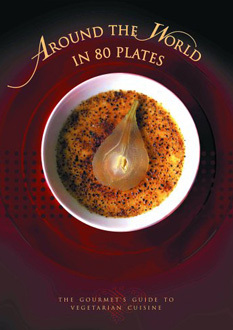 It brings together the treasured recipes of eighty celebrated chefs and hotels worldwide. It was the winner of the Oscar of food awards in Paris, Frankfurt and Kuala Lumpur. Charlie Trotter, Anton Mossiman, and Tetsuya Wakuda, among others. Rashmi Uday Singh, takes readers on an exhilarating journey via the spices of the Asian kitchen, the earthy culinary traditions of Africa and the Middle East, the festive vibrancy of the Americas, and the sumptuously delicate flavors of Europe. The result is an extraordinary range of regional and fusion cuisines. From veggie classics to more experimental dishes that will entice the most resolute of carnivores, the book provides a combination of adroitly assembled menus and individual recipes. Beautifully illustrated, it delivers both armchair excitement and superb kitchen instructions, offering readers the best of the world on a plate. 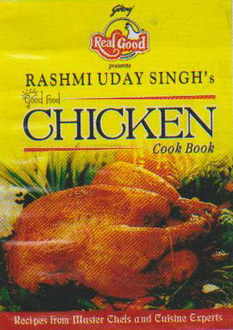 A comprehensive and in depth cookbook encompassing everything you always wanted to know about chicken. From how to buy, cut, store to useful and usable tips and recipes ranging from “Tandoori” “hassle-free” “healthy” to “party cooking”.A must buy for every chicken-lover. Rashmi wrote the weekly food column of The Hindu in Chennai for seven years and this culminated in “Rashmi s taste of Chennai” section of the Metro Plus Food Guide. She not only unearthed the most amazing foodie finds, caterers, dessert makers, tiffin services but also tried them and compiled them in this handy book. Good cuisine is about passion, tradition and innovation. So is success. In this unique celebration of food, celebrity achievers belonging to different regions of India and engaged in different professions, share with us their favourite recipes, which are as much about delicious food as about the joy of cooking. Popular food columnist and author of the best-selling Mid-day Good Food Guide to Mumbai, Rashmi Uday Singh travelled to the kitchens of artists, industrialists, film stars and sportspersons, interviewing them and sampling their cooking. The result is this beautifully produced cookbook full of unusual profiles of the rich and famous, and their own recipes for their preferred dishes. The Maharaja of Jodhpur shares with us Rajsthani delicacies from his royal banquet table, while busy professionals like singer Asha Bhonsle and ace model Madhu Sapre give us their favourites from the cuisine perfected over several years in middle-class Maharashtrian households. Joint editor and director of the Hindu, Nirmala Lakshman, picks her ideal menu from the traditional, pure vegetarian Tamil Brahmin cuisine, and hotelier Vikram Oberoi demonstrates his mastery over exciting fusion cooking. Film star Sunil Shetty introduces us to the magic of Mangalorean food, which he learnt to cook as a teenager in his fatherýs Udipi restaurant, while Namita Panjabi shares with us some of the recipes that have made Chutney Mary Londonýs most popular eating place. Among the hundred odd recipes from Indian, Continental, Chinese, Thai, and Jewish cuisineýincluded here, are gongura mutton, ripe mango curry, Saraswat prawn curry, spicy moong chutney, Chettinad chicken fry, date khichri, beef with basil and caviar potatoes. 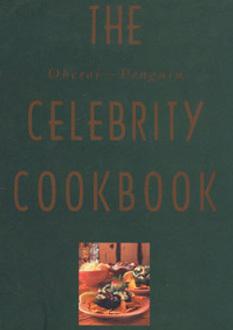 Illustrated with colour photographs and with tips from master chefs appended to each recipe, The OberoiýPenguin Celebrity Cookbook is a rare and sumptuous treat. Three cracklingly uptdo date unique volumes serve up the true taste of Mumbai. Night life… Bars, Nightclubs and more. BOOK 1 : The Restaurant guide bristles with cracklingly up-to-date information on restaurants, of all types, shapes and sizes.There are as many new ones popping up every day… as are closing down. The pages sizzle with newness! It serves all the useful information you could possibly need. It also has a dedicated chapter “cheap and cheerful” … from Colaba to Kandivali, Tardeo to Thane. BOOK 2 : Do You Love To Eat In? Get in caterers? Desserts? Tiffin/ Dabbawallas? Use Food Shops & Services? Turn to BOOK 2 for the special sections devoted to these and make your life hassle-free and delicious! It’s an insider’s guide to “eating in”… a gourmet guide to rare and lesser-known sources of great food. Useful and usable information you can’t get for love or for money. Information painstakingly sourced and checked and tested by me over the past twenty years. Be it from where you can, order cakes from Cordon Bleu chefs who work out of home or order healthy tiffin/dabbas for your office or have the most fabulous seafood cleaned and home delivered. From where to get the prized Reidel wine glasses to Smoked Salmon and Caviar. It’s all here. Catalogued. All tried, tested and tasted… ready-to-use information, not available anywhere else…. BOOK 3 : Foodie Shoodie Not For You? You Are A Nightbird? You like to party? The companion books await you. From bars, nightclubs to party halls and party-organisers. Beginner’s guide to a home bar, to cocktails, wines, and more!